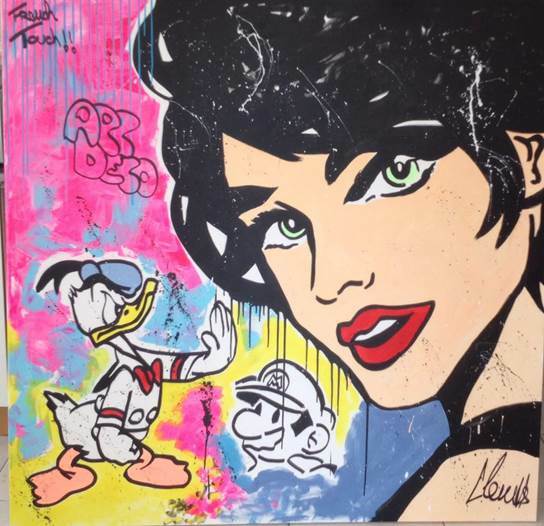 tirely to his work.Inspired and fascinated by Pop art, Street art, “Gansta” culture, and iconic artists like Andy Warhol, CLEM$ now paints frantically. His is an iconoclast artist in the true sense of the word, deconstructing images of contemporary culture using urban influence and his own personal twist. He is obsessed with the popular figures of contemporary society that he likes to pervert. His works never whisper, they shout.His work is exhibited in Miami, London, New York, Paris, and Tel Aviv.